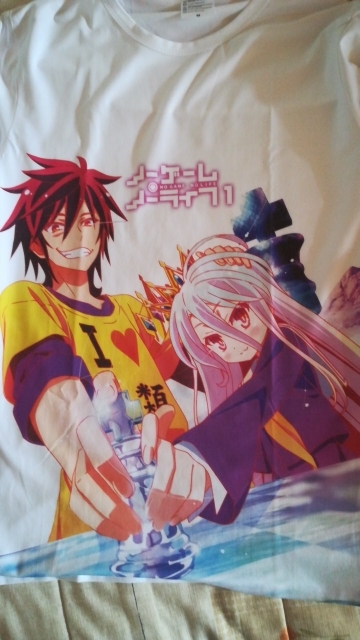 No Game No Life tees. Available in 31 models and 6 sizes (from S to XXXL). Please note that the actual item’s color can be slightly different from the picture shown due to the difference in lighting and monitors. Due to manual measuerment method, please allow 1-3cm margin error. This Is an awesome shirt, Cant wait yo wear it. Fits Perfectly, the shippment took only 9 days. 5 звёзд, однозначно, отличная футболка, из полиэстера, по размеру подошла отлично, доставка быстрая 10 дней, единственное что не очень понравилось то что принт по сравнению с картинкой тускловат, а так всё норм, продавца советую. 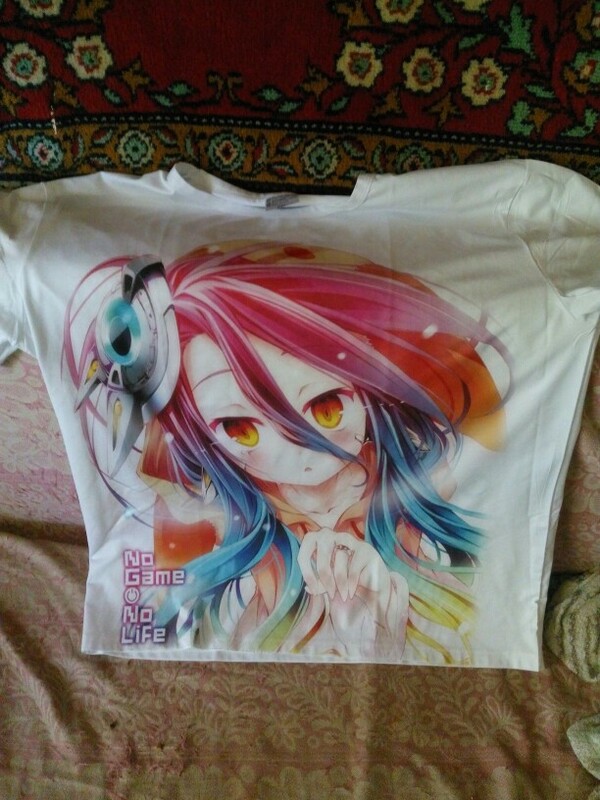 A bit too big, print is very good but the quality of shirt is bad (its polyester, no label). Very nice and soft. A little bit low resolution but you really can’t tell if you are not looking up close. Very nice for the price. 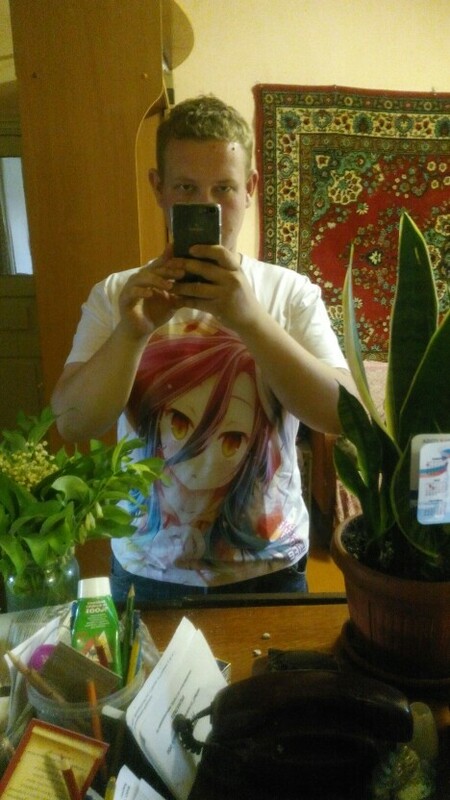 size of the shirt is perfect,but color bit brighter.